Credit Report Nightmare: How to Get A Personal Loan with Credit Score of 550 Or Less? 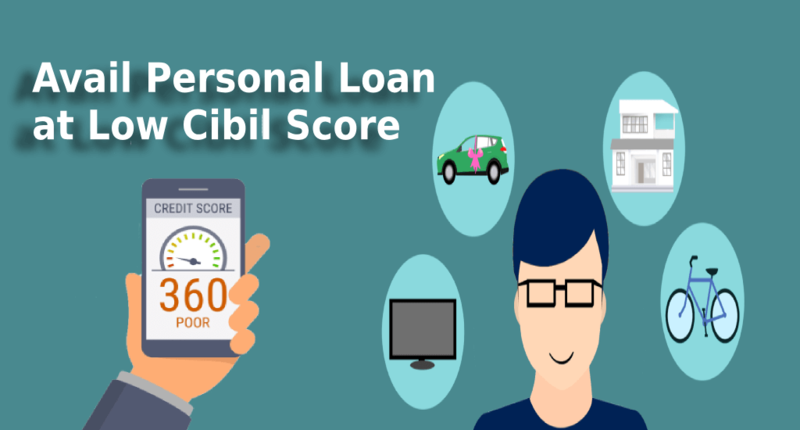 Why is the CIBIL score so important in getting a personal loan? "It's wrong to rob banks, yeah, but is it right for banks to loan people money, knowing fully well they can't pay it back?" Have you ever wondered the certainty about the truth in this question? That is why banks and lending organizations require a vital asset to check the borrower’s ability for the repayment of the loan. CIBIL score plays a critical part in your personal loan application as it frames your first-impression in front of the lender. The average CIBIL score expected of a borrower in India is 750 and above, anything below is considered as a poor CIBIL score. What are the options of personal loans for CIBIL defaulters? Don't get discouraged by the fact that you have a low CIBIL score. We at Afinoz sympathize that sometimes we fall under the unfortunate circumstances where we are unable to pay our credit card or loan repayments on time. This, over the period not only affects our credit score, but we also end up having a bad credit history. A loan against collateral allows the borrower to place any personal property that has value and which they own, as an assurance against the acquired loan. In this case, if the borrower fails to make payments, then the bank has the right to sell the asset equivalent to the loan amount. Since the bank is at the lowest risk in this situation, the rate of interest for these loans is less. You can also apply for a joint loan with your spouse, considering your spouse's credit score is high, for personal loan application acceptance. Otherwise, you can also utilize a co-signer, who can sign jointly for a loan with you. In both cases, if you fail to repay the loan, then the lender can demand the payment from your spouse or co-signer. Many a time when your CIBIL score is low, most of the banks offer loans at high interest rates. This is because the banks are at higher risk of loss for the sanctioned amount of loan in such situation. You can consider availing this when you are in some sort of emergency and are without any other option. Certain banks consider your job stability as a factor for lending loan. 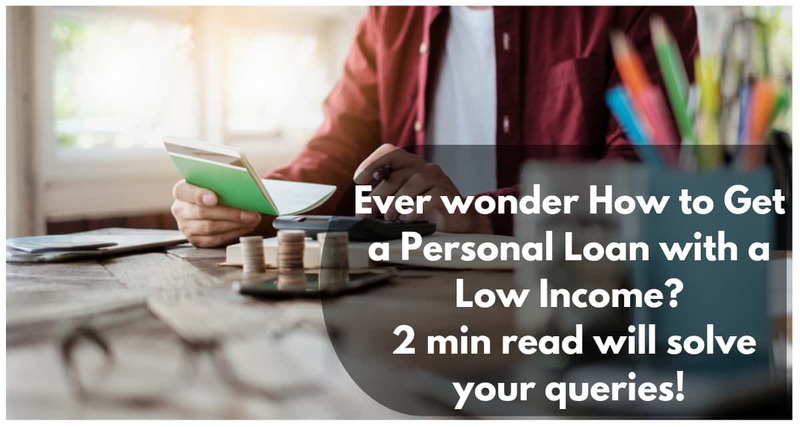 If your CIBIL score is low due to default 5 years back and your current income is good, then you can readily get a personal loan at the low interest rate for a longer term. There are some Non-Banking Financial institutions which offer loans to people, who have low credit scores and are struggling to break a cycle of poor credit. They are more generous than the public banks in India. It is always advisable to carefully regard this option because these institutions mainly charge you a high interest rate, sometimes 25% - 35% but not bad when you need money badly. Peer-to-Peer (P2P) platform brings together individual borrower and lenders to take and offer loans. 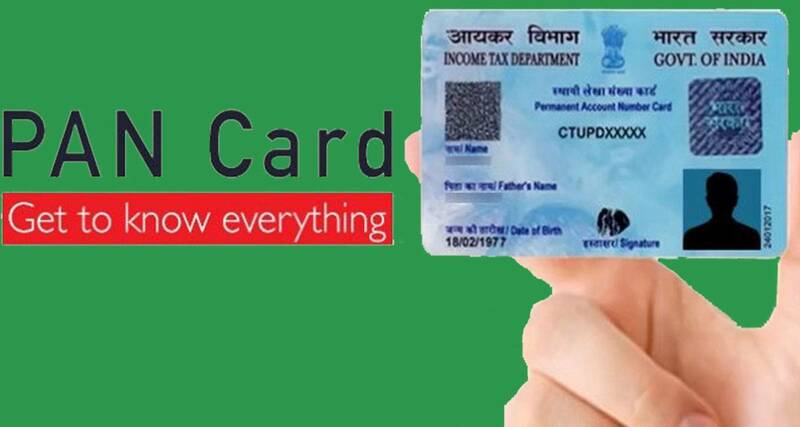 Here, screening of the borrower goes beyond the CIBIL credit score and is evaluated using other parameters such as current income, financial behavior, future financial prospects, education, demographics, socio-economic conditions, etc. If your requirement is not immediate then instead of opting for a personal loan at this moment, you should work towards bettering your CIBIL score and then apply for a loan. A better credit history improves your chances of getting another loan application approved in near future. Check your credit score: The first thing you need to do before opting for improving your credit score is to understand it. Check your CIBIL score report thoroughly and dissect it. Make sure there are no discrepancies with the report. If you find any errors, report them straight away to the lender or the creditor responsible for writing these inaccurate data. Your credit score can improve considerably if the issue is resolved. Work on credit history: Clear all your pending credit card/loan dues. Paying off these unpaid dues can considerably mend your CIBIL score. 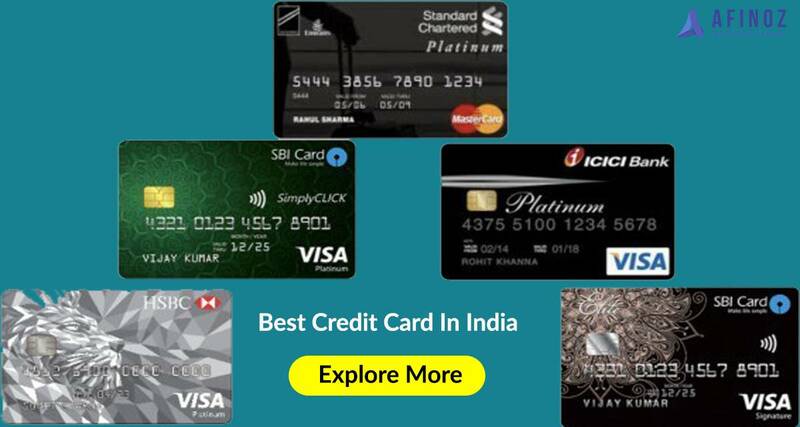 If you have multiple credit cards/loans, then check your CIBIL statement to determine how much you owe on each account and what interest rates have been charged and start planning to settle these debts. For future assistance start setting reminders for payments dues. Make financial plan: Come up with a financial payment plan that puts most of your uncommitted budget for debt payments towards the highest interest rate cards first, while maintaining minimum payments on your other accounts. If you are having difficulty in making ends meet, contact your creditors or see a lawful credit counselor. Payback your existing loans: If there are any overdue loans, then pay them off completely. You can also negotiate with the concerned bank to cut down your EMI if that can help with your payments. Do not apply for any new loans/credit cards unless and until the previous loans are settled. Repay your loans in time: Missing payment dues and failing to repay you loan in time can affect your CIBIL score and can damage your ability to acquire loan for many years. If you fail to make payments in time regularly, then bank gives you an option for ‘settlement’ where you can pay off part of the loan and the loan is then considered settled. But this also means you will be denied to get loan from all banks for a period of 7 years. Therefore it’s better to be punctual and responsible and make payments at the expected time. After this short period of efforts and hard work, you can have a credit healthy future. To avoid all the hassles, you can simply visit our online user friendly portal afinoz.com through which you can get the loan quickly. We, at afinoz, ensure that you get the best offers, instant approval, lowest interest rates and easy disbursal of your loan. Be it any advice or help regarding personal loan process, you can contact us at +91-8795021552 or email us at info@afinoz.com and we will be glad to help you. You will find that afinoz is the greatest option to meet your needs. You will realize that afinoz is not only here to help you through the difficult financial time you may be experiencing as of now, but also that we jointly set you on the path to a more stable financial future. For any further query, please visit us at afinoz.com, contact us at +918795021552 or email us at info@afinoz.com.